needed permission to enjoy life. Yeah I arrived. I finally arrived. The disorganized closets and cabinets. Something, always something, forbid me to enjoy my day. you will find yourself failing to enjoy life. Because there’s never “enough” of YOU, or HIM, or THEM, or IT, to satisfy the insatiable demands of perfection. I lived right there for a long time: not enjoying life. But it never happened, and it never was. Until I learned to give myself permission. Permission to sleep in or catch a nap every once-in-a-while. Permission to sit down and cuddle with a child even if the living room isn’t perfectly clean. Permission to invite people into my less-than-perfect life. Permission to appreciate what I have even when it doesn’t feel like much. Permission to reach out when I’m not sure the gesture will be reciprocated. Permission to share when I know my motives might be misunderstood. Permission to respect my man even though he hasn’t “arrived” either. Permission to praise my children even when they’re struggling with attitudes or habits. Permission to smile even when I don’t feel beautiful, or happy, or appreciated. Permission to wear perfume and lip gloss even if I’m not stepping out of the house all day. Permission to drink a second (or third) cup of tea, just because I like it. Permission to enjoy the blazing, hot sunshine even though I’m sick of summer. Permission to cozy up to a cold, rainy day even though I’m sick of winter. Permission to give freely even though it might be forgotten. Permission to step out in confidence despite the fact I might fail. Permission to laugh. Out loud. Just because! and to own the imperfect as if it were enough. Do you ever struggle to enjoy life? Think about today. How has it fallen short of your expectations? Can you just let go and give yourself permission to embrace joy? So pretty, direct, yet gentle. I love this great reminder so much! Thank you for reading here, Cindy, and for the kind words! Thank you…. I don’t know how to express how this encouragement has truly blessed me,… I didn’t realize I wasn’t enjoying life, (my children, or my husband, or a homey, less then clean house) like should be,…. If I only had permission to enjoy anything and everything good even in chaos and imperfection. I always thought and I should be able to keep a perfect perfect house, like friends I have, even though they’re lives are so different. My husband is a high energy business owner/operater, I have 3 high energy boys, the oldest is 4, l milk half a dozen goats everyday, make a lot Greek yogurt and cheese, plus train horses in my “spare time”… but to me it’s never enough,…. And it’s not, ” I” and the things I do will never be enough without my Savior. But “He” is enough, and because He is in me, I am enough, if I choose to abide in Him! 2 Corinthians 3:5-6 … wow, thank you I really needed it God bless! Wow, you are a busy lady, Sarah! I definitely understand the feeling that what you do is never “enough”. I’m so happy you were encouraged and refreshed here, my friend! I find myself pretending to be joyful day by day, pretending to be that great mom, worker, friend, Christian, housecleaner etc., when the whole time my heart is heavy with the weight of knowing it’s never enough. This really helped me today. You are a voice for what so many of us moms feel. I struggle to find joy on these imperfect days where the kids whine and fight even after a lesson on how to walk in love with each other. Thank you-I needed this!! Heather, it’s funny that you mentioned that “the kids whine and fight even after a lesson on how to walk in love”. Just last week, I found myself getting so frustrated as I was trying to teach my kids a devotion with Sally Clarkson’s book, Our 24 Family Ways, because they had bad attitudes even while we were talking about how to have Christ-like character. Sometimes, it really feels like a waste of time! But it’s not… line upon line, precept upon precept, here a little, there a little… we plant, and God waters with His Holy Spirit to bring forth fruit in our children’s lives. Great post. It’s amazing how something so simple as giving ourselves permission to not be perfect and to enjoy what we have been given is something we forget to do but can change so much. Thank you for sharing this. Lisa, letting go of perfection is so simple and basic… but it can be tough at the same time! For me, it’s very much a daily, intentional decision to choose right attitudes and an eternal perspective. Yey…just another inspiration to brighten up my day. 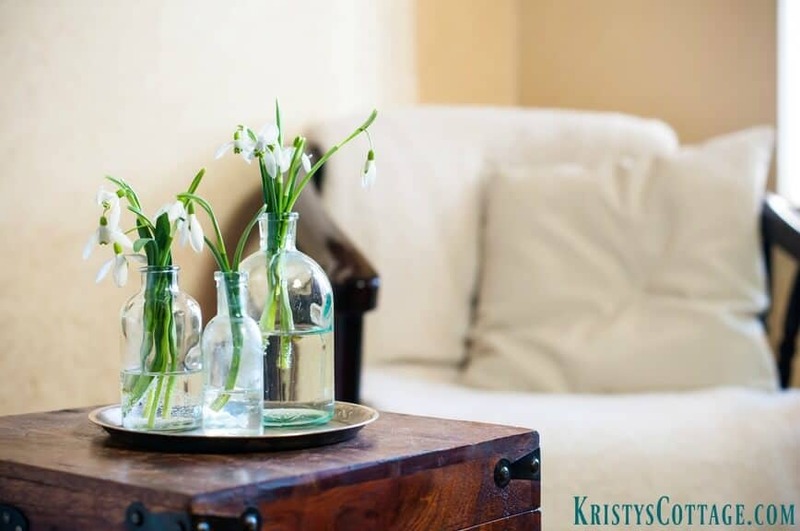 🙂 It’s always so nice to have a read here in your cottage Kristy! Love and thank you for being such a blessing to many.